Trampolines have an incredibly rich history that not too many people know about. 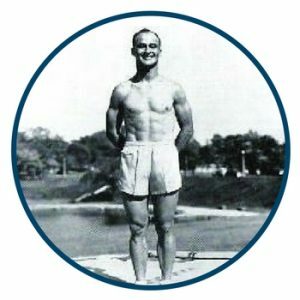 Trampolines were used during WW11, during the past and future Olympic events, and even in the NASA space program. 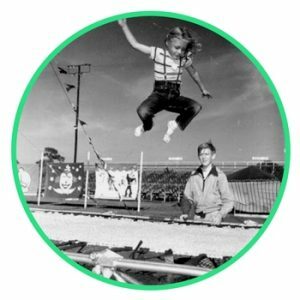 If you’ve ever been curious as to how trampolines were created, this is the place to discover everything that has to do with trampoline history. 7.1 What are trampolines made of? 7.2 What was the trampoline called before it got the name “trampoline”? 7.3 What are trampoline frames made of? 7.4 What are trampoline springs made of? 7.5 What is the biggest trampoline size? 7.6 What year was the trampoline invented? The trampoline was invented during the 1930’s by George Nissen. 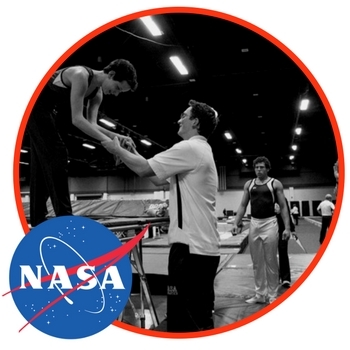 With his coach, Larry Griswold, Nissen created the trampoline during his years as a teenage gymnast. The first ever trampoline was made out of the inner tubing of tires and pieces of scrapped steel, which was then used for his particular act in the Iowa Hawkeye Circus show. 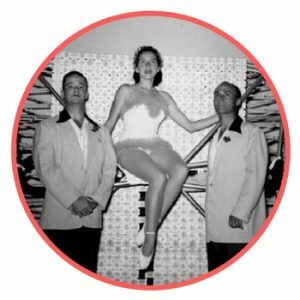 It was crafted with the purpose of training tumblers to hone and develop acrobatic skills during the shows, but exploded into something else soon after. After the shows, Nissen and his coach formed “Campeon de Trampolin”, where they would take their trampoline design and turn it into a more portable version. 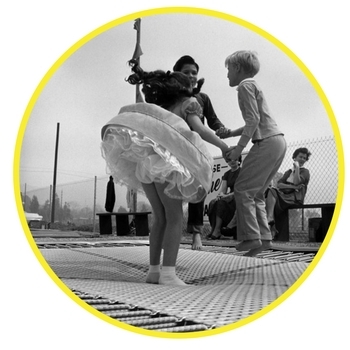 After WWII was finished, Nissen, his acrobat wife, and their young baby, always traveling with a foldable trampoline, promoted their trampolines all over. In fact, the earliest jump centers can be linked back to the late 1950’s, where kids would jump on them while their parents filled up their vehicles with gas at gas stations. Trampolines quickly became a craze that was here to stay. The earliest trampoline built by Nissen was done over a long period of hours, threading the long cords needed to make the net using a javelin-head need. 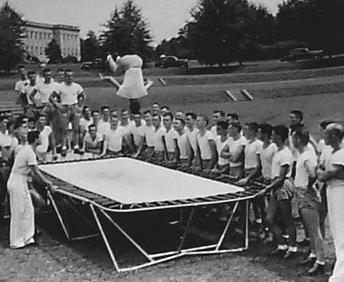 During WWII, a trampoline was developed by the U.S. Navy Flight School for the purpose of using it as a tool in the process of training pilots and navigators. They desensitized pilots in preparation for the necessary flips and turns required when in flight, and also worked to eliminate any fear of heights. They were also used to strengthen the muscles, improve the body’s control, and help them to gain the best amount of balance possible. 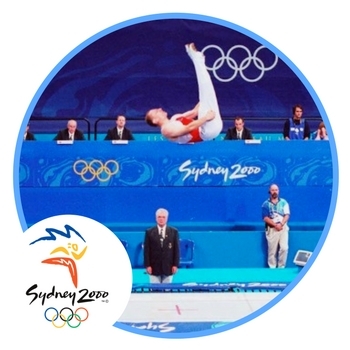 During the Olympic programme at the Games of the XXVII Olympiad, which took place in Sydney, Australia, the trampoline made its first Olympic debut in the men’s and women’s competitions. To this day, these categories have not changed and still take place in the Olympics. The decision was made to bring trampolining into the Olympics during 1997 by the IOC Executive Board in Lausanne. Since then, we’ve seen excellent trampoline acts in Beijing in 2008 and Rio in 2016, for example. NASA, the space program we all know and love, have been using trampolines to help prepare their astronauts for space for decades. Interestingly enough, scientists discovered that rebounding on a trampoline is 68% more effective when it comes to using proper breathing exercises and strengthening the muscles compared to working out on a treadmill. The same can also be said in regard to the feeling of being weightless and the overall loss of gravity, which has helped astronauts feel acquainted with the feeling of space before their missions. As we mentioned before, gas stations quickly became jump centers for children to enjoy while their parents pumped gas. Aside from those, Nissen and Griswold, who quickly established the Griswold-Nissen Trampoline and Tumbling Company, relocated the trampoline to a YMCA camp. One of the earliest trampoline parks can be dated back to the early 1960’s, which charged 50 cents to jump on a trampoline for half an hour. These days, however, there are thousands of trampoline parks across the globe to explore and enjoy. Trampolines and trampoline history have evolved into an entirely new concept. Nowadays, we see safety nets, ladders, Olympic-size trampolines you can purchase for your backyard, safety mats, and so much more. If you have a question that we haven’t covered below in our FAQ section, let us know and we’ll do our best to give you what you need! 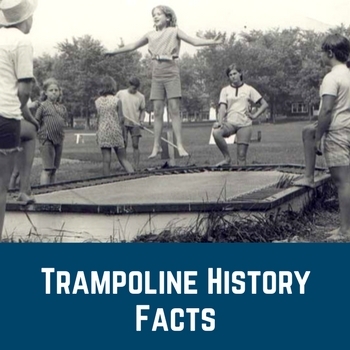 And if you’re looking for more awesome trampoline facts, click here! Though the first trampoline was made from scraps of steel and the inner tubes of tires, they are made with completely different, and safer, materials these days. The jump surface of a trampoline is made using either woven or waterproof canvas polypropylene materials, depending on the manufacturer. They’re also made with coiled steel springs, mesh lining if they have any netting, and, more often than not, boast a frame that is constructed from galvanized steel. What was the trampoline called before it got the name “trampoline”? Before the trampoline was officially a trampoline, it was dubbed “Campeon de Trampolin”, after Nissen had an idea from Mexico. What are trampoline frames made of? Trampoline frames are, typically, made out of heavy-duty, durable galvanized steel. What are trampoline springs made of? Trampolines springs are made out of steel that has been coiled to make exactly what it needs to be – a spring! 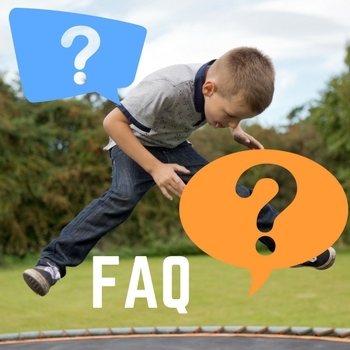 What is the biggest trampoline size? The largest trampoline size, when it comes to a residential category that you can have in your backyard, is 16 feet by 24 feet, which can easily weigh more than 800 pounds. What year was the trampoline invented? The trampoline was invented during the 1930s – the beginning of trampoline history.